Your Instagram game is going to be on point. 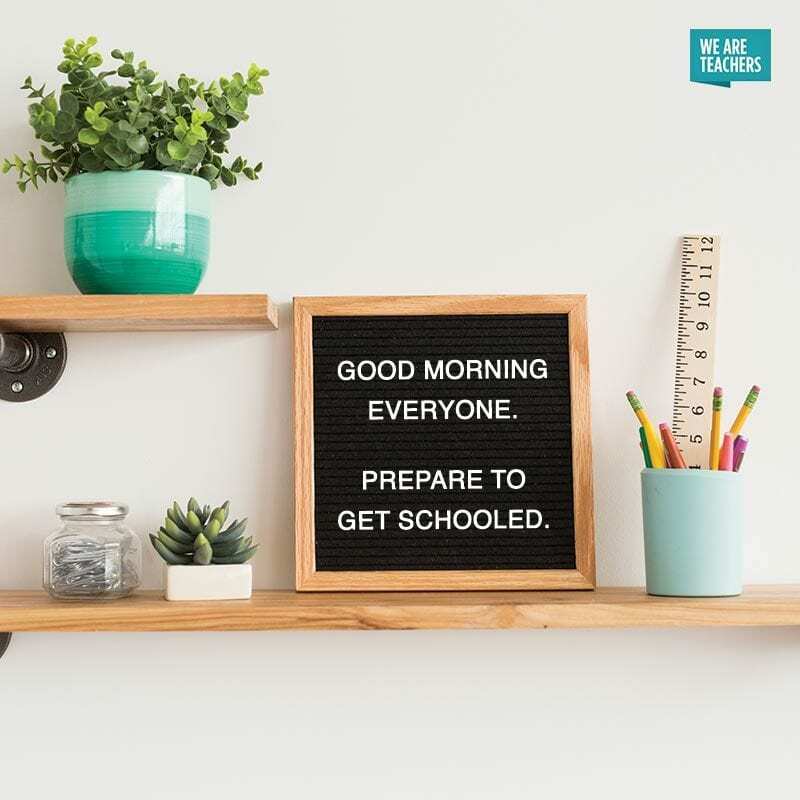 Letter boards seem to be everywhere these days. 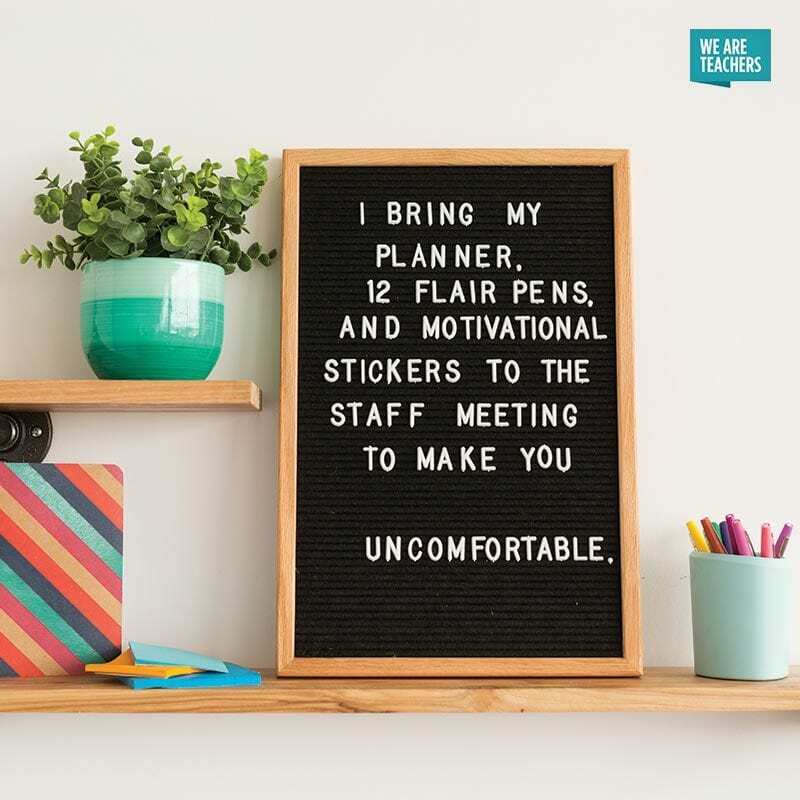 You can get long vertical letter boards when you’re feeling like you have a lot to say. Or perhaps you like the small ones complete with emojis. You can even mix it up with colors, like this blue letter board or this rustic design. 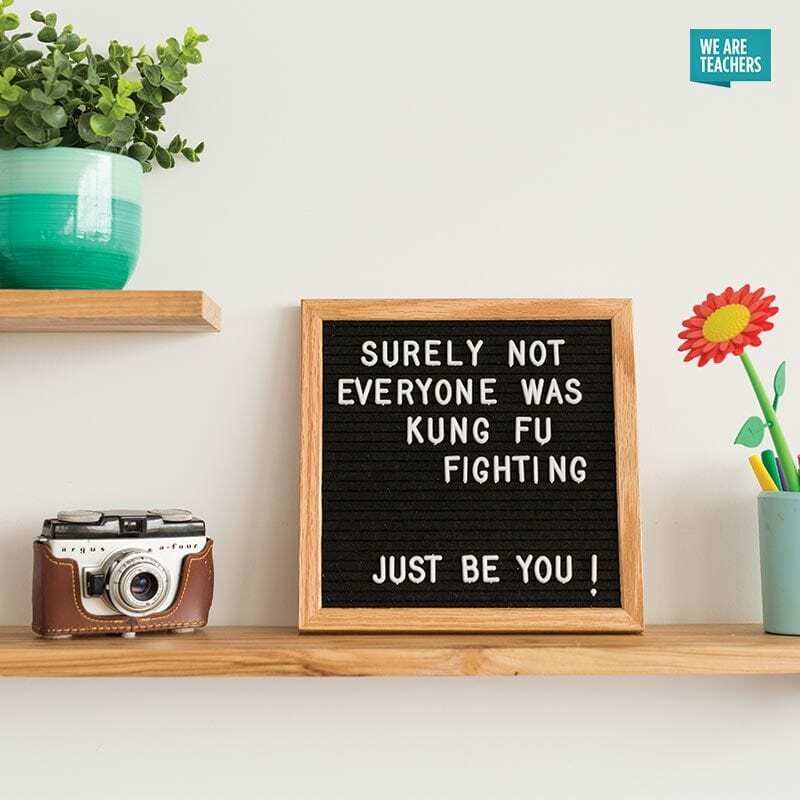 No matter what your style, there’s a letter board for you. 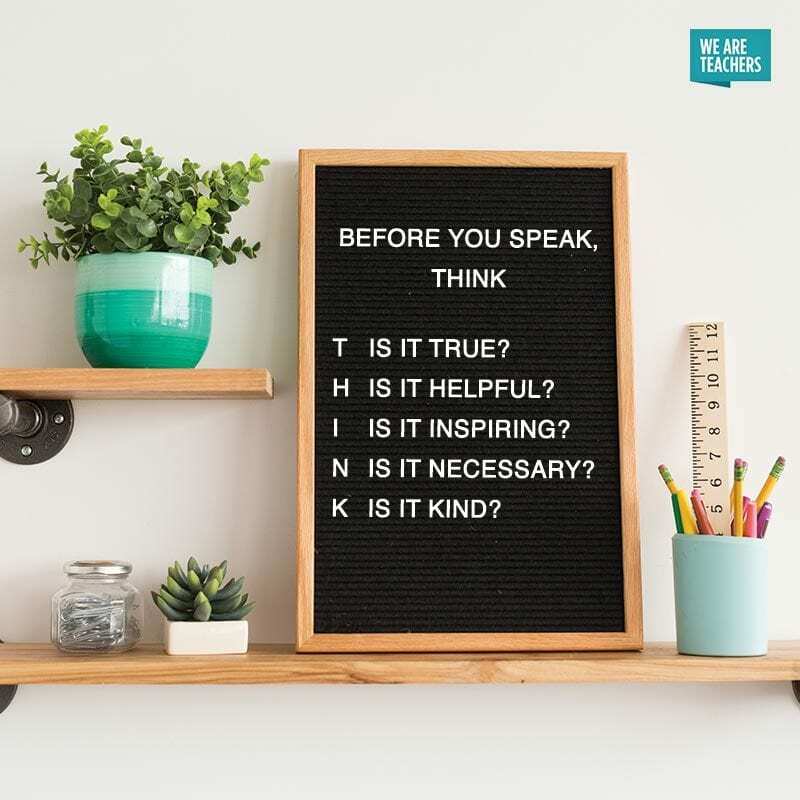 But what message should you put on your board? Is it best to have inspiration and sayings for students? 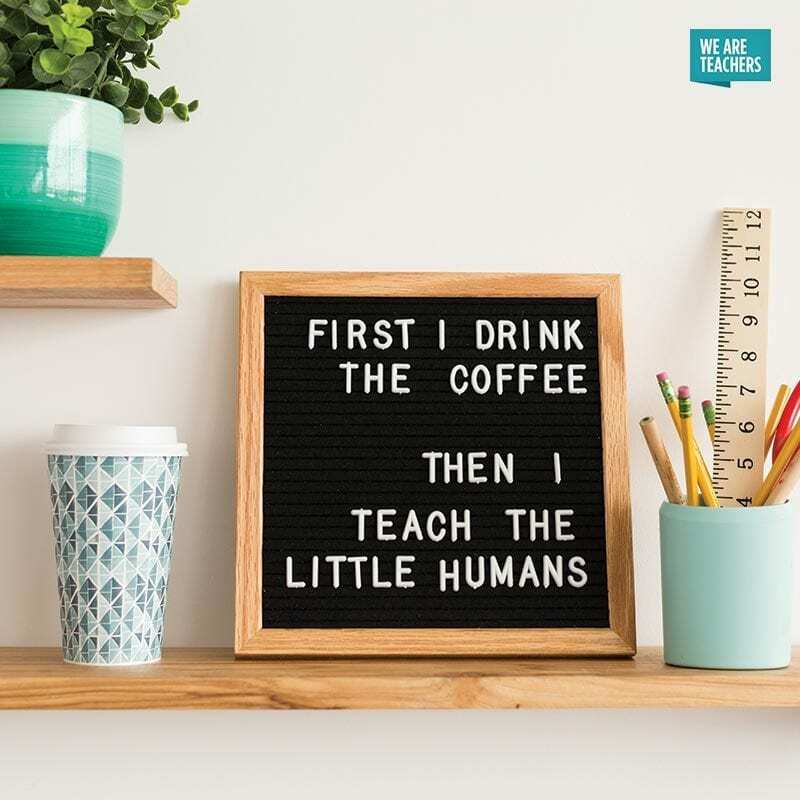 Or do you need some humor added to your faculty room? 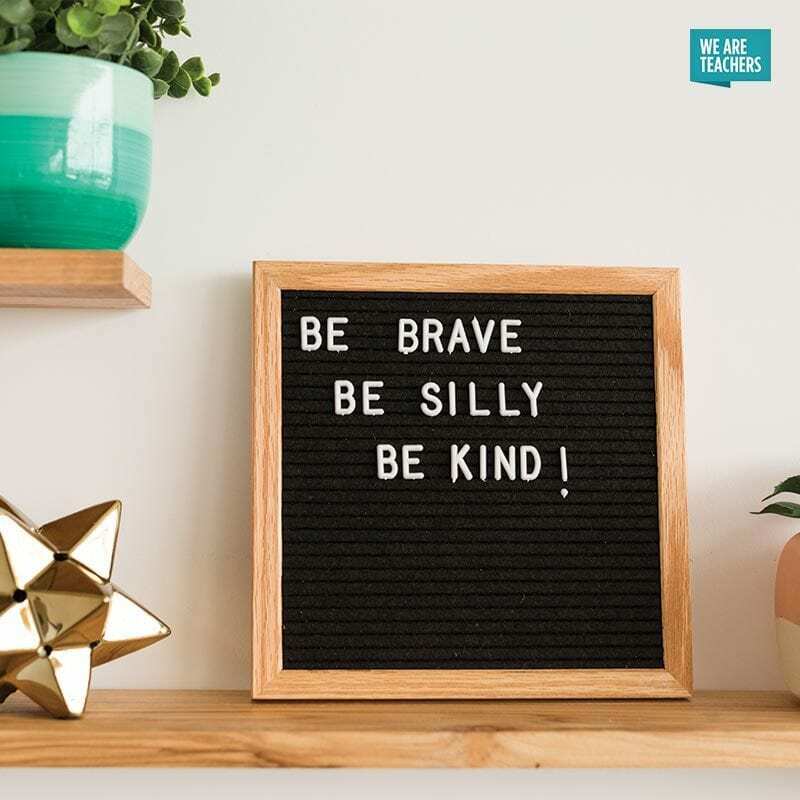 We have letter board sayings for both options right here. Take a look at our staff favorites. 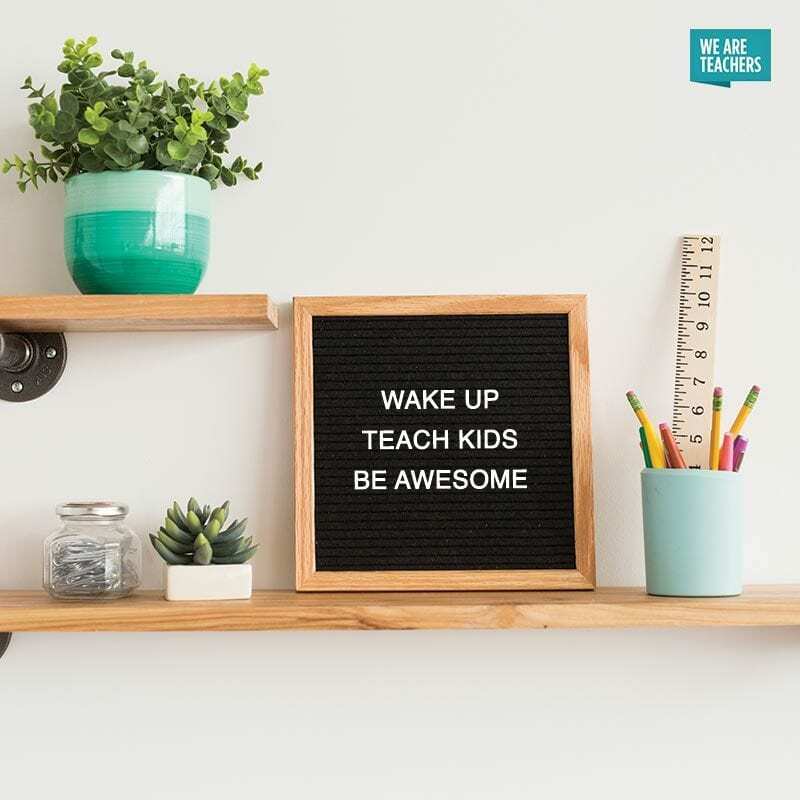 Letter boards for your classroom. 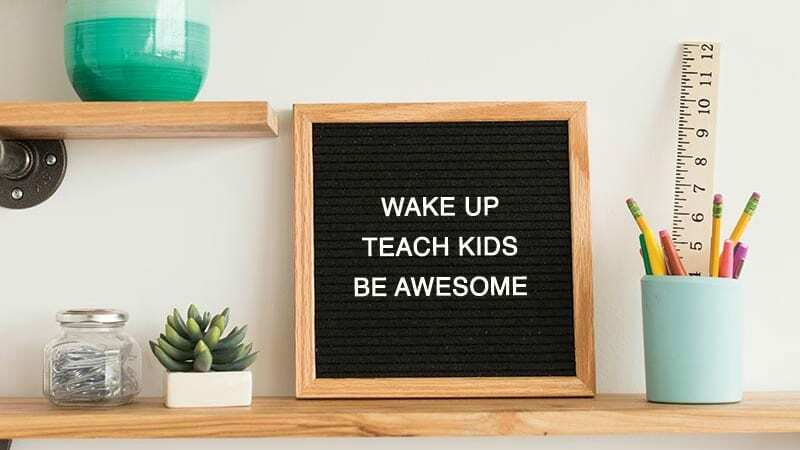 Loudly and proudly display these messages to your students! They might not totally get the reference, but it’s good to pass along a little old-school pop culture. 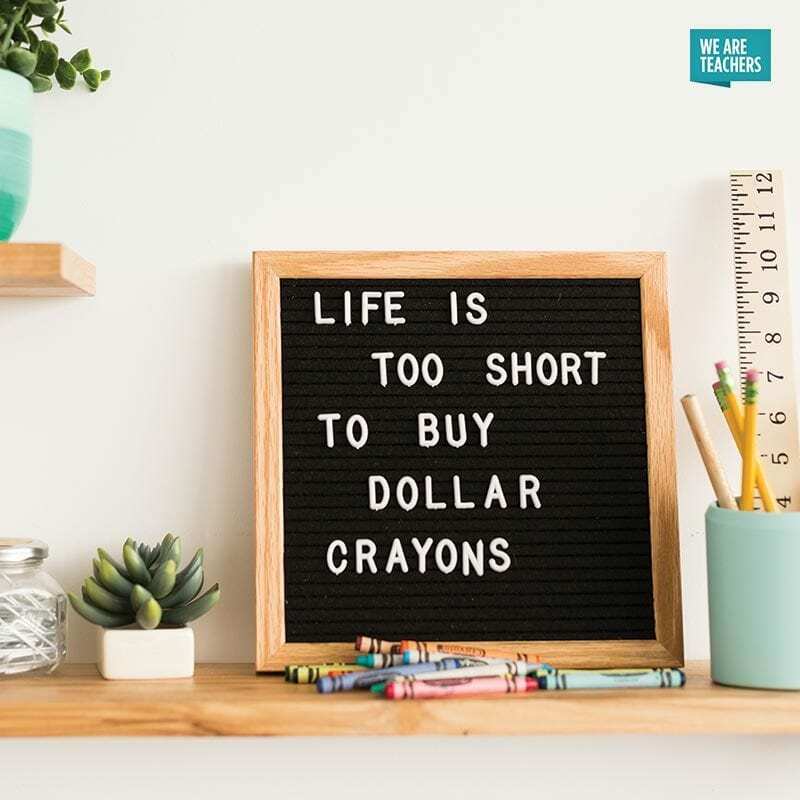 This simple yet important message is a good one to display in your classroom year-round. Be all of these things! You could invite your students to come up with ideas, too. Show your love for Harry Potter. 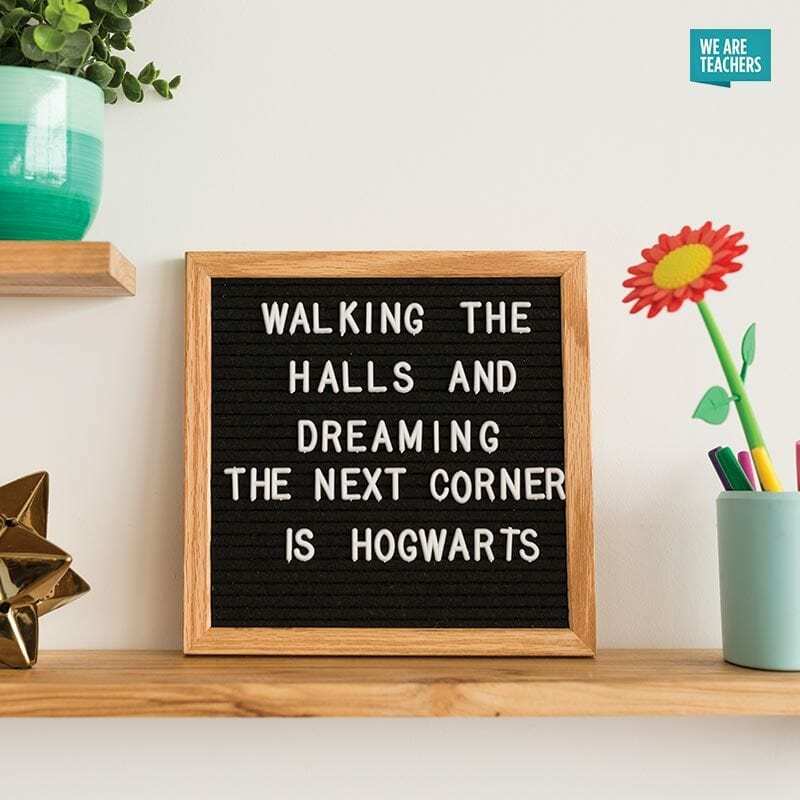 Teachers and students alike are probably dreaming of waking up in Hogwarts. This hit from the 1970s might be lost on them, but it’s always good to encourage your students to be themselves! Fridays are just a happy occurrence. And they come around every single week! Yes, this message is meant for the teacher, but it can be appreciated by all. More awesome for everyone! 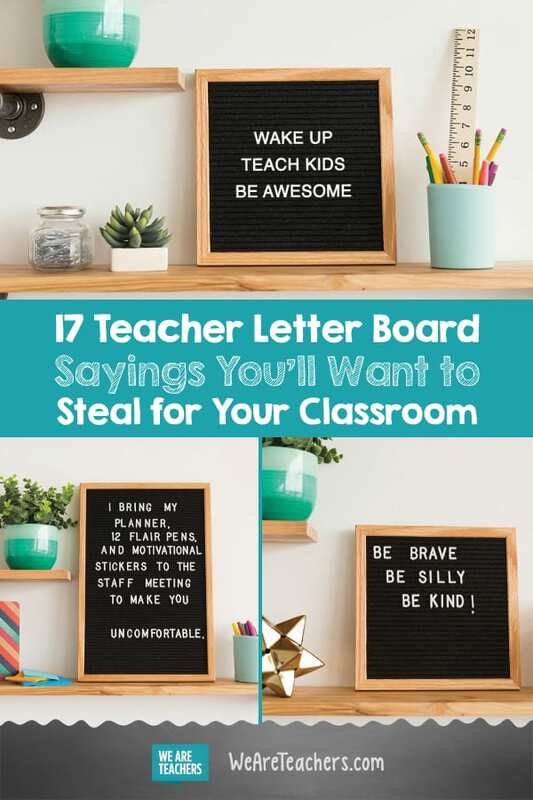 Letter boards for teachers’ eyes only. These might not be the best messages to display in the classroom, but they’re hilarious, totally relatable messages that will have your fellow educators ROTFL. But at least you were successfully multitasking. Every building or team seems to have someone like this. It’s tough to find a sub anytime of year, but cold season is particularly difficult. You will be tempted … they’re just so cheap. But some things are better when they’re name brand. It’s hard to leave work on time! We’ve all been there. Don’t sweat it. Sometimes there are just too many distractions in life. Next weekend is going to be different, though. You really can’t have one without the other. Just ask any elementary teacher. 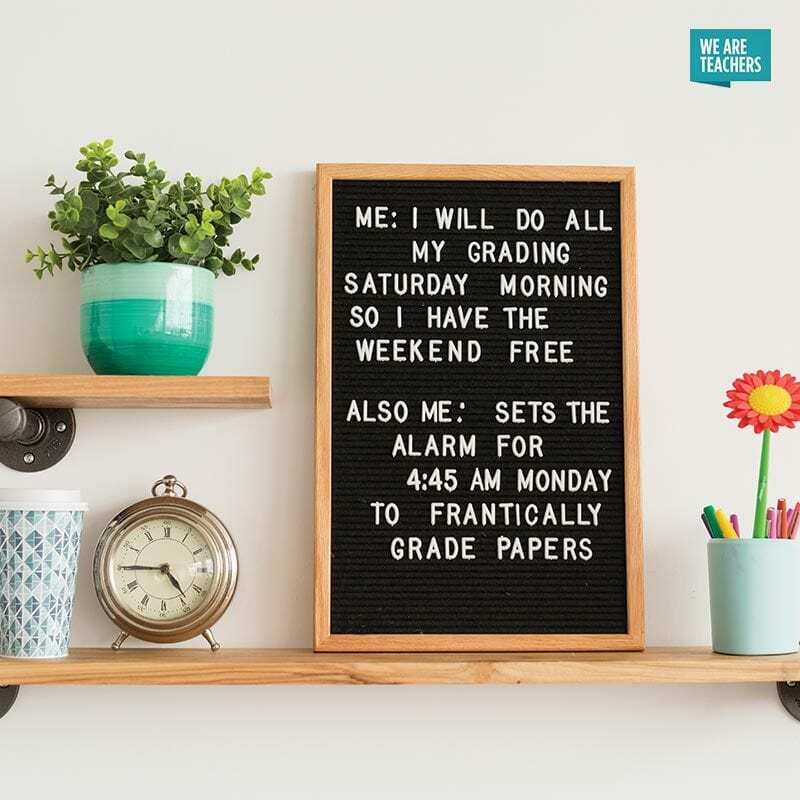 Yes, we didn’t forget about you middle school and high school teachers. You need the coffee, too! Do you have a clever letter board saying? 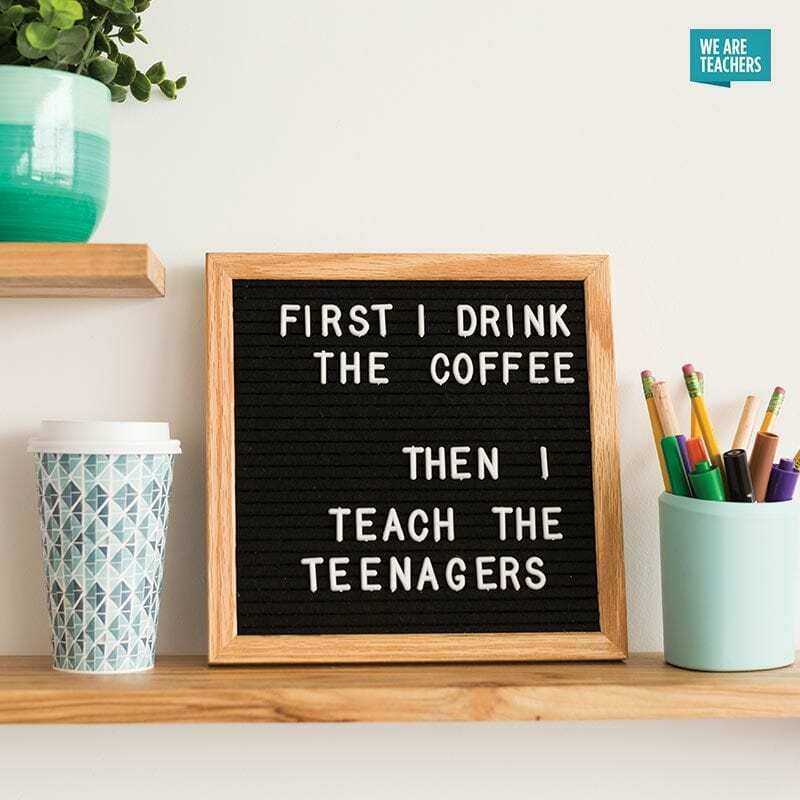 Share yours on our WeAreTeachers HELPLINE group on Facebook. Plus, check out funny and totally relatable “Said No Teacher Ever” sayings.